What is one of the most important elements needed to maintain our homeschooling freedoms in Iowa? When large numbers of home educating families show up at the Iowa State Capitol, lawmakers take notice. When senators and representatives receive pleasant, in-person visits from homeschooling parents and children who make the effort to travel to Des Moines to communicate their desire for homeschool freedom, those legislators take notice. 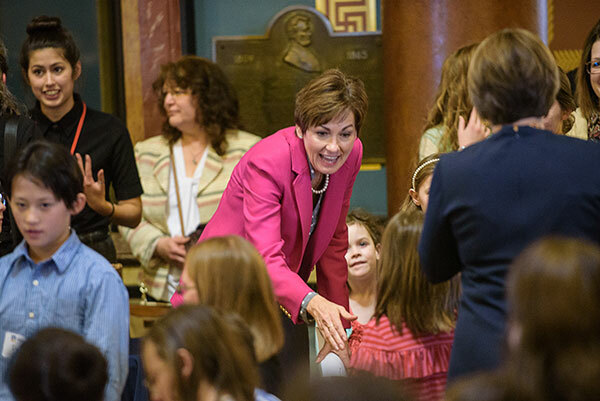 Homeschool Iowa (NICHE) can expend great efforts to protect homeschooling in our state, but we can't replace the huge impact that your personal visits to the Capitol can make. That's where Homeschool Iowa Capitol Day comes in. 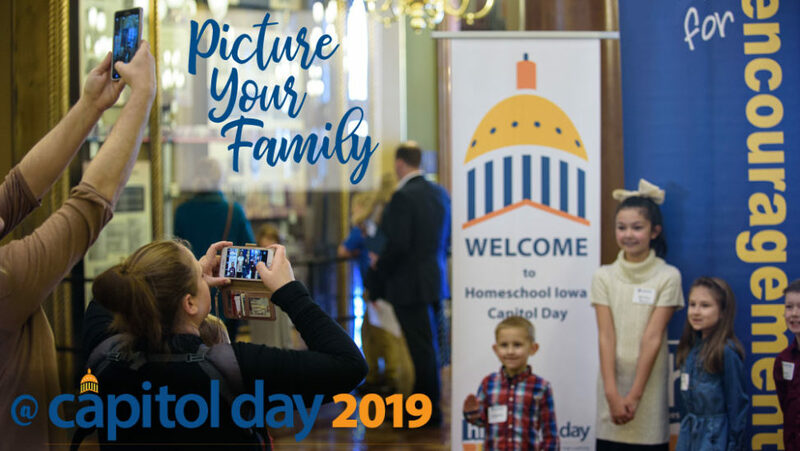 Homeschool Iowa Capitol Day provides an effective group opportunity to show our lawmakers that we're winsome, sincere families dedicated to providing a proven high-quality educational option. And there's no registration fee to attend! We're Here to Help You, Too! 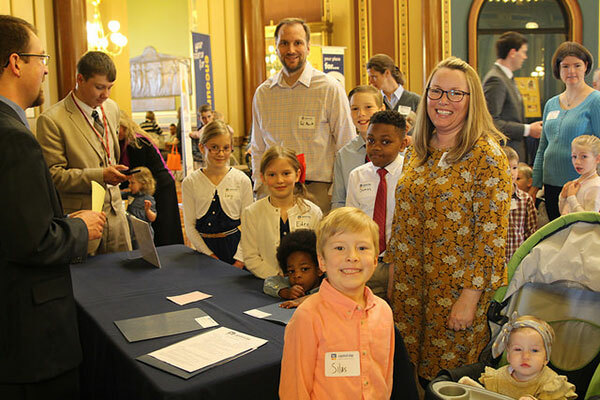 When you come to Homeschool Iowa Capitol Day, our helpful staff is available to show you how to interact with your elected senators and representatives. It's really fairly simple -- but so effective. 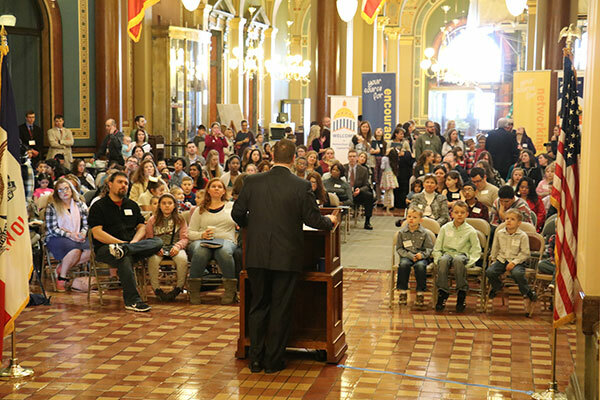 Homeschool Iowa Capitol Day includes a rotunda rally with a special guest speaker. We love to see the chairs fill to overflowing with homeschooling families from all across the state of Iowa. Take a tour with the knowledgeable Capitol tour guides. Go on a scavenger hunt searching for special items in the Capitol Building. Sit in the legislative chamber galleries and listen to proceedings. 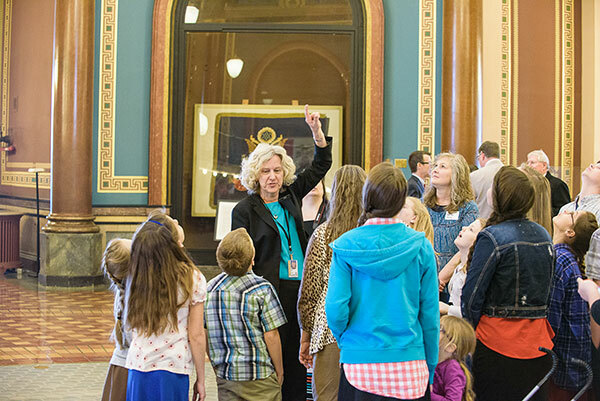 Homeschool Iowa Capitol Day is a great field trip for your whole family! We're always looking for volunteers to help with this event -- including youth team members, like this great group from last year's event. If you're interested in helping, email us! My daughter would like to volunteer to help at Iowa Homeschool Day at the Capital. Please let us know what she would need to do to be part of that. She did help last year also. 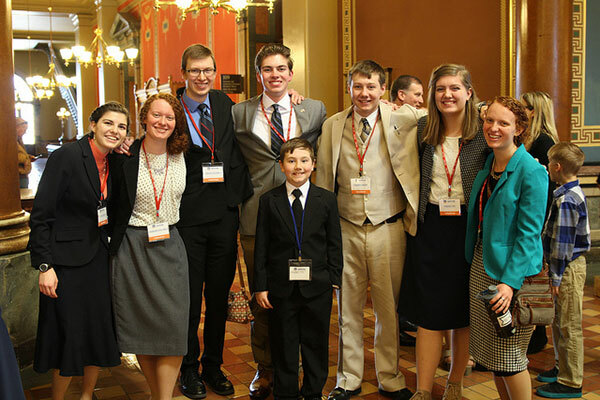 Thank you for reaching out to us about volunteer opportunities at Homeschool Iowa Capitol Day, Sarah. We encourage all potential volunteers to email us at capitolday@homeschooliowa.org.